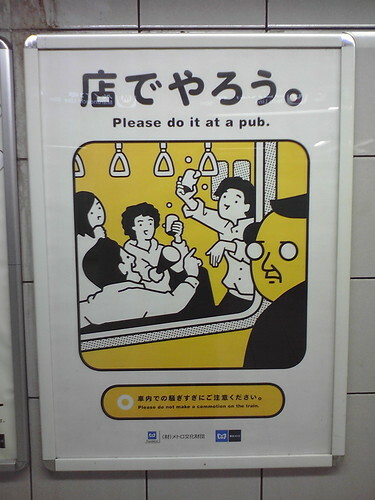 Another community service announcement, brought to you by Tokyo Metro. There is a new one of these put up every couple of weeks. All quite funny. Have take pictures of many of then. Shoudl get round to putting up more on Flickr. This entry was posted in Photos, Travel and tagged Japan, sign, Tokyo, Tokyo Metro, train. Bookmark the permalink.